Central Asia is unlike any place you will ever see. 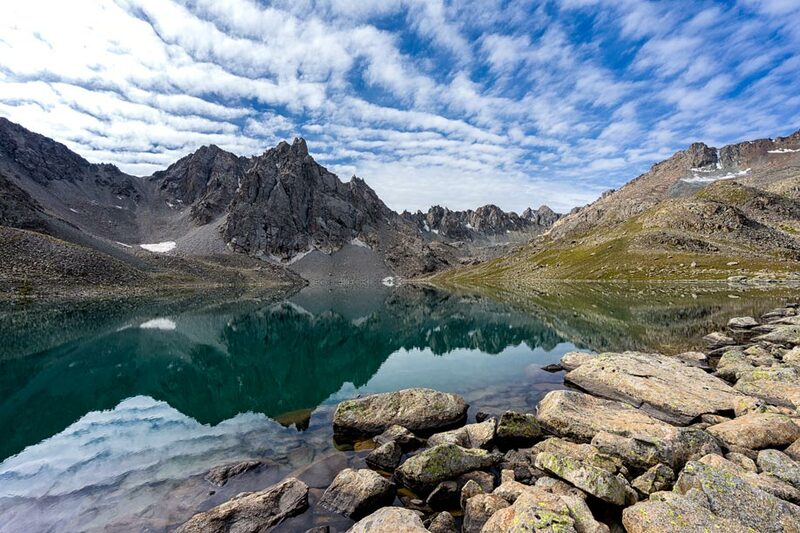 Towering peaks soar over isolated lakes, glacial rivers meander through lush forests and sprawling deserts fringe on a vast sea. Every horizon brings a diverse new perspective that shakes your imagination. As the seasons change so does the landscape, with a kaleidoscope of colours painting every scene. Nestled in this unbelievable land are intricate structures that have stood the test of time. 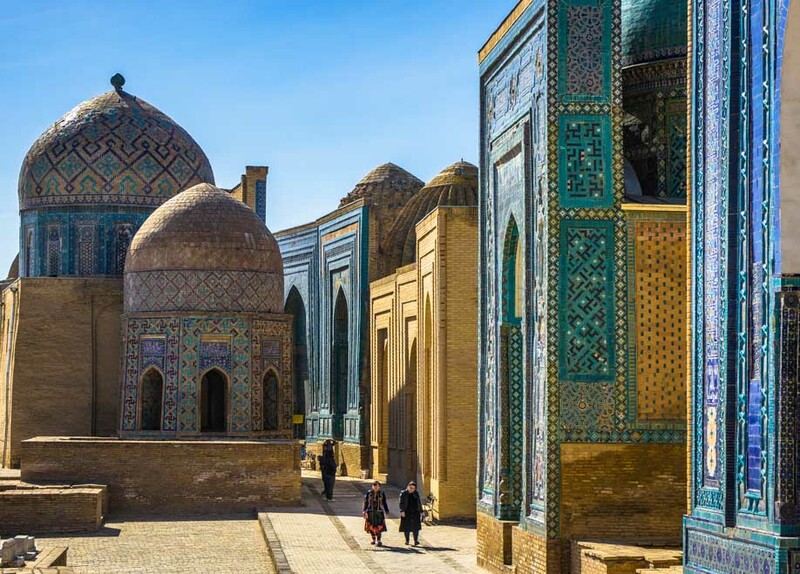 Rising from the sands are mausoleums, madrassas, mosques and memorials, remnants of the historical Silk Road that changed the course of history. Between the mountains and the architectural wonders are a hospitable people, proud of their nomadic heritage and traditional culture. Handicraft workshops and bustling bazaars are waiting to be explored. Sights and smells are overwhelming, no matter which way you turn. 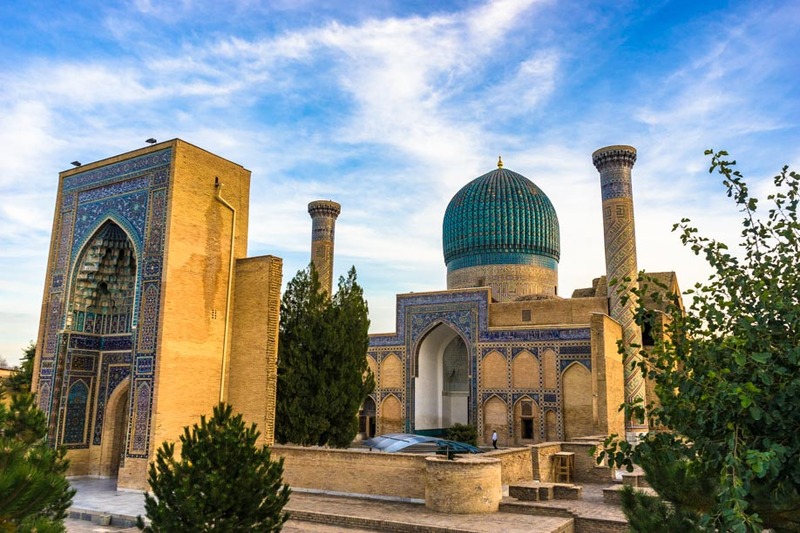 Central Asia is a place that captures the dreams of travellers, and is just as appealing for photographers. But its interesting location surrounded by China, Russia, the Middle East and the Caspian Sea means the region is often overlooked for places with easier access. 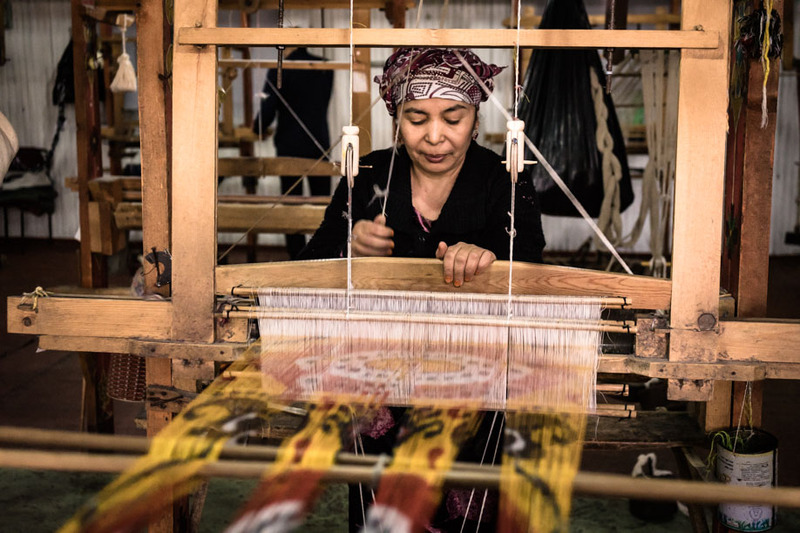 The countries of Kazakhstan, Kyrgyzstan, Tajikistan, Uzbekistan and Turkmenistan never disappoint those who make the journey, and from a photographer’s point of view it doesn’t get much better. If you’re thinking of where to go for your next photography tour, let us help convince you to choose Central Asia. With peaks reaching over 7000m and one of the highest navigable highways in the world, Central Asia is perfect for any photographer who is interested in landscape shots. Few places offer such mind-blowing scenes that can be admired straight from a car seat quite like Tajikistan. 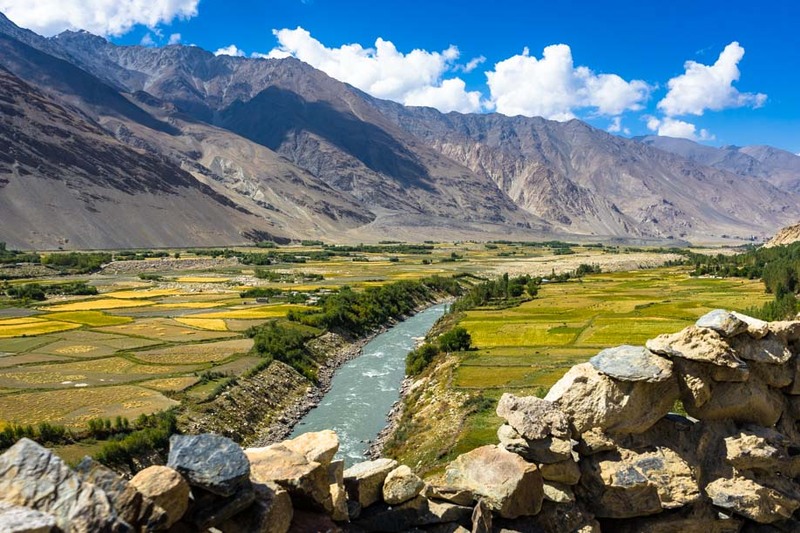 The Pamir Highway boasts one of the most epic road trips imaginable, with stunning views every kilometer of the journey. Kyrgyzstan is 93% covered in mountains, so for those who are feeling active a short (or long) hike can get you into places that few foreign eyes have every seen. Photography Gear: Bring a good, light tripod to capture the sharpest images, as the light can change very quickly in the mountains. ND filters help slow your shutter speed down as well so you can smooth out rivers and waterfalls. Central Asia is steeped in rich Silk Road history, which resulted in some of the most magnificent man-made wonders the world has ever seen. Luckily for us many of them were spared during the countless sieges and natural disasters that plagued the region over the years. While Kyrgyzstan, Turkmenistan and Kazakhstan have some spectacular examples, the most impressive structures are found in Uzbekistan. The cities of Samarkand, Bukhara and Khiva are especially beautiful, with dazzling blue tiled mosaics, floating arches and lovely minarets. An absolute must for any photographer who is interested in ancient architecture. Photography Gear: If you are planning on taking photos at night you will definitely need a tripod, and a solid head helps with composing your shots. 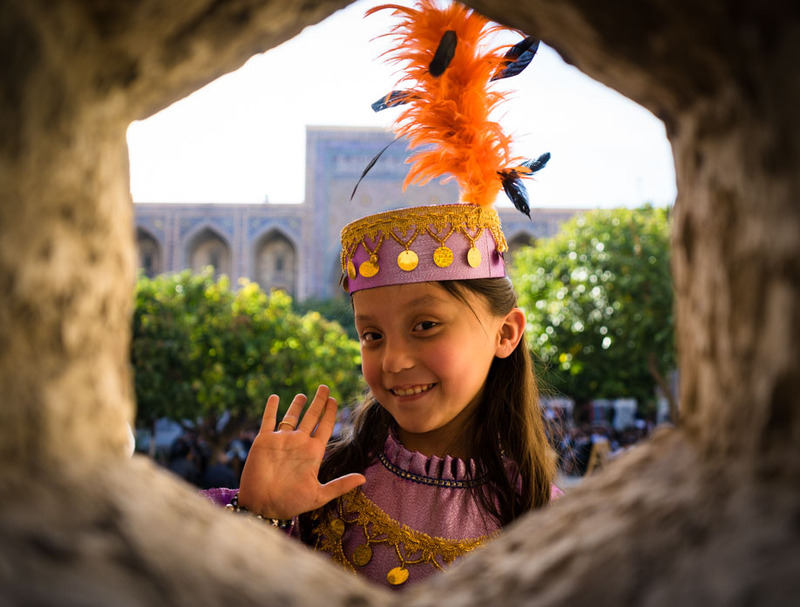 If you’re the kind of photographer that loves walking away with gorgeous shots of the people you meet on the road, then Central Asia is the place for you. As the region is still relatively unknown compared to other destinations in Asia, the locals are welcoming to tourists. This often leads to some memorable interactions that will stick with you forever. Don’t be surprised if you are walking the streets and are called into someone’s house for a cup of tea, or end up in long conversations about history, travels and family. All these moments often lead to friendships being formed, and excellent opportunities to get some amazing portrait shots! And if you prefer natural compositions of people then head to the local bazaars. They are filled with colour and brimming with activity, presenting perfect chances to get a few photos. Photography Tip: Read this recent article on how to get photos of people during your travels. There’s something special about photographing a place that you know not many people have shot before. And in Central Asia that experience comes up more than you could ever imagine. Rather than trying to find a new angle on the Taj Mahal or taking the same photos of Prague that every other person has, Central Asia allows you to return home with an insight that few people would have seen. Tajikistan and Turkmenistan in particular present amazing chances to get off the beaten path for both travel and photography. Photography Gear: If you’re venturing off the typical tourist trail then you will definitely need to have a sturdy and durable camera bag with you.